I read a response on another forum site about using divination to tell you about a way to decide what to do for a spell. Is it usually with a pendulum, and if so how did you begin? I just received my first pendulum 2 days ago. If you are asking what is the best approach when you have several different magical options available to you and how do you choose, then, yes, a Pendulum is a good place to start for this kind of work since it will give you a yes/no and sometimes maybe answer. i did the jack pendulum, and the other day i asked a question and i told the pendelum, just answer with the "V" of victory and i'm still surprised. That can happen? I've had really great luck with my pendulum to check in on my spell work. It's more straight forward for quick questions, like "is this working" or "is someone blocking my work" or "does the target know what I'm doing" I really like reading cards too because it's a family tradition, but I started working with the pendulum again for spell work. What is the correct way of cleansing your Pendulum before the first use? Is holy water with a prayer appropriate? Does anyone that uses a Pendulum have any tips? I have used pendulums straight off the shelf (i try them out in the shop before buying). "Cleansing" an inanimate object is a fairly common Neo-Pagan term, but i am not Neo-Pagan. I think of what i do as "dressing" or "anointing" them or "waking them up," terms with different connotations that are more commonly found in hoodoo, the form of folk-magic i practice. Instead of a prayer, i can start in the shop by asking the pendulum if it is a good little pendulum, will it work for me, is it ready to work for me, and so forth. I am engaging in a dialogue with it. Once i select one for use, i tend to anoint them Van Van oil (a cleansing and dressing oil), and i have also worn them next to my skin (in my bra) for seven days to "train" them and get them used to me. Thanks for the advice, I am waiting on Van Van oil at this time, so can I use anything else? I did however ask the Pendulum if I was using it correctly and it said yes (lol). I never thought about having it on me so that it could get usec to me!!! Great Idea. I just bought a Pendulum-- and am unfamiliar with using it for divination regarding my work.. anybody familiar with how to use it? I asked the pendulum which was yes or no and it seemed to give clear signals of which was which, however when I asked it a simple yes question-- it went in a circle?? If Miss C. Yronwode sells them, then they must be very good books. Or you can scout the net and find some tips. There's lots of free information hanging around that will help you learn how to use the pendulum. A minor tip: pendulums can swing in different directions. Some readers assign back and forth as "yes" or "no", while others give that to clockwise and counterclockwise motions. Different movements have different connotations. You can either give an specific meaning to each according to your needs and likes or you can take it from a system created by someone else which you can find in a book. Did you ask your Pendulum to show what "maybe" looks like? When I first received mine from LM, I asked mine to show me yes, then no, and maybe... mine was clear as to what clockwise meant, counter-clockwise and then a swinging motion (north 2 south movement)...hope this helps!!! I never thought about maybe!! I thought it was merely a yes or no tool.. good thinking. I feel kind of funny talking to the pendulum, but it' really answers! Oh, wow. I've been fascinated by pendulums, but never felt comfortable/confident enough to buy one since I didn't really know how to use them. After a bit of search (small amount) I made my own pendulum with a nickel sized chunk of an amber pendant and an old sterling chain I had that had a borken clasp. WOW! I did some test questions and had a very definite "yes, no and maybe". And it feels so incredibly right. Now I'm hooked. I've been reading/learning tarot but have a long way to go. 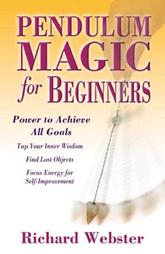 This is a great tool that can be helpful now as well as when I get better with tarot. So glad I stumbled upon this subject! Thanks for listening to my excited rambling. I'm still working with my pendulum, and I guess I don't quite trust it yet.. although I asked a question of it yesterday and it gave me a No answer-- which I didn't believe but it was right!! So I guess it's telling me the truth so far!! Just for grins I asked it if this guy I am doing a honey jar was the one and I got a maybe/ yes-- still learning to trust it!!!!!!!!!!! Now I'm not sure if I trust my pendulum at all! I asked a specific question if I was going to hear some news about someone this weekend.. it's consistently said yes.. now the weekend and is over and I have no news.. I'm not sure what to think?? Can it be faulty somehow? Or is time relevant with these things? Well, my understanding of it is that it's minute muscle movement and vibration that causes the movements. So, basically your subconscious. If you really believe someone will call that may be why the yes. Or maybe if you really want someone to call, as j82 stated. Too emotionally tied to it. It's all still pretty new to me. These are just the things I'm reading. I did see that it could be used with spirits guiding it, sort of like assisting a child to form a correctly written word when they are learning to write. A spirit can assist our vibrations for a yes or no. Now, that is way out of my ability/comfort level. Don't think anyone should go summoning spirits unless they're prepared and experienced in case an unpleasantly unexpected sumpin' may occur. Now, my yes and no seem opposite of everyone else. Left to right is my no. Front to back is my yes and clockwise circles are my maybe. I literally asked "Am I a girl. Am I a boy." to get the yes and no. Still experimenting. I did purchase a pendulum a couple of days ago. Lovely little store close to where I work was literally putting them on the display when I walked in. I was drawn to one in particular which I got for a steal. Used incense to cleanse it and feed it. And have remembered to thank it each time. Has it's own special little wooden box to live in In the meantime, I'm still practicing learning tarot. Hi, figured I'd kick in my bit. SouthernGirl wrote: Well, my understanding of it is that it's minute muscle movement and vibration that causes the movements. So, basically your subconscious. If you really believe someone will call that may be why the yes. Or maybe if you really want someone to call, as j82 stated. Too emotionally tied to it. It's all still pretty new to me. These are just the things I'm reading. Your on the right track SouthernGirl the medical term for it its the Ideo-motor Response or IMR, its basically a movement of muscles in the body out side of normal conscious control, that's why if you want to pendulum to swing this way or that it will. With pendulum I feel you need to take a step back from the question and be open to any response. Nerd bit over now. SouthernGirl wrote: A spirit can assist our vibrations for a yes or no. Now, that is way out of my ability/comfort level. Don't think anyone should go summoning spirits unless they're prepared and experienced in case an unpleasantly unexpected sumpin' may occur. Again very true, to a point. The spirit you call to help you doesn't have to be something out of a book like the Key of Solomon, which has some heavy characters, it could be your favorite aunt that passed, or that dog you had as a child, or the spirit of the pendulum it self. A spirit can be a great aid in such matters and to someone looking to start using pendulums I would suggest either a Jack Ball made for you and working with the spirit of the jack same as any other mojo. Or get a good size Queen Elizabeth root and talk to it and make nice with the spirit of the root and use that as your pendulum. Something like that can't hurt you and can become a valuable aid and accomplice in your work. Thanks Discordia, I was trying to remember the scientific term for involuntary muscle movements. I know I've heard the same thing about Ouija boards, which is offered as an explanation for why you get gibberish if you blindfold yourself using them. I have had my pendulum give me answers I didn't like, aned refuse to change them when I asked repeatedly, so I'm hoping it isn't just me answering myself. HailDiscordia wrote: Your on the right track SouthernGirl the medical term for it its the Ideo-motor Response or IMR, its basically a movement of muscles in the body out side of normal conscious control, that's why if you want to pendulum to swing this way or that it will. With pendulum I feel you need to take a step back from the question and be open to any response. Nerd bit over now. Hah! I love the nerd bit and the medical part. I'm called a nerd and a geek by my best friends and I consider it quite the compliment. And I'm a nurse, so I appreciate/understand/agree with all that! HailDiscordia wrote: Again very true, to a point. The spirit you call to help you doesn't have to be something out of a book like the Key of Solomon, which has some heavy characters, it could be your favorite aunt that passed, or that dog you had as a child, or the spirit of the pendulum it self. A spirit can be a great aid in such matters and to someone looking to start using pendulums I would suggest either a Jack Ball made for you and working with the spirit of the jack same as any other mojo. Or get a good size Queen Elizabeth root and talk to it and make nice with the spirit of the root and use that as your pendulum. Something like that can't hurt you and can become a valuable aid and accomplice in your work. I absolutely understand that many spirits are helpful, loving and not at all anything to fear. My only concern is that a total newbie such as myself, while intending to get in touch with my beloved (fill-in-the-blank), may inadvertantly open themselves up to a less pleasant spirit. Especially if certain precautions aren't made or the knowledge of how to safely contact pleasant entities isn't known. BTW, I love the Queen Elizabeth root for a pendulum. I've seen that can be used, but haven't laid my hands on one yet. Hard to get here and I'm still waiting on an order from LM. So will have to wait a bit. But I want to try that. Yeah, okay, I want to try the jack ball too. Too dang many things to do! Good Advice everyone.. I think Southern Girl is onto something about being too attached to the outcome of the question. I asked it something I really didn't care about and got a correct answer ( at least what I think is a correct answer) This is what makes me nervous, I've been using the pendulum to tell me if my Honey Jar is working on it's intended target and it always says yes, now I'm not sure what to think. then there is your answer be patient. Try not to freak out and obsess over the work, do it and walk away and let it do what it does.. sweetend them to you. Sometomes we get caught up in wanting something we jinks it ourselves by obsessing.. i know its hard, get a book, read, work on something do anything but distract thinking about it when you are not working it. btw is the wax showing any signs in the candles as they burn, any signs? , why dont you have a friend ask using a pendulum if the honey jar is working correctly? get an independant source. j82 wrote: Sometomes we get caught up in wanting something we jinks it ourselves by obsessing.. i know its hard, get a book, read, work on something do anything but distract thinking about it when you are not working it. Sort of like casting the evil eye on ourselves I guess. Hadn't really thought of it like that before. You know how stuff happens when you're not expecting it?? That's the same thing, you guys are right.. I have asked on of the LM Certified Practioners for help -- see if they get the same thing I do. I also had some tell me regarding the pendulum that if you ask if if you can use it , you get great results! I will try! Good luck LMFan. Let us know how it goes. I'm just starting with my pendulum, but I always ask it if it minds talking to me, then thank it when I'm through. I made my own pendulum I heard of long time ago and used it then. A needle with a thread through it, and on the sharp end of the needle you stick a tiny piece of bread ball (take a small tiny piece of bread and roll into a ball). I hold it over a paper circle that already has answers yes and no written on it. If it swings incircle I just take it as dont know or paraphrase the question. I am not sure if it works by itself; I always call out a "kind spirit" to talk to. I did notice before that you can influence its answers with you mind power thats why while asking question Im trying not to look at it, or not to think about the preffered answer. So far it worked for me. I do believe its answers. And every time I woud ask the same questions, and get the same answers - which makes believe in its truth. I try not to use it every day though, to give it some rest. Although, it got me puzzled one time, we had little misunderstanding with my boyfriend, and I asked pendulum if Im gonna see him today - the answer was no, tomorrow - the answer was no, only the next day it said yes. It told me that he in fact was mad at me. But I did see him the same day. So it wasnt really true what it said, but it happened only once. Until I read this forum I didnt know it was a common practice (I found out about pendulum like 10 years ago when I was a teenager, and thought maybe it was a kiddie stuff). Some people would say that it is me who is moving the thread and needle in the direction I want. What is interesting is that I tried to just hang the thread and not to hold it in my hands - and it wouldnt move! Does anyone know why? I have gotten myself a pendulum some months ago from a store. It is a green chinese crystal ball hung on a green string with a silkworm symbol. The instructions that came with it claim it will bring luck, money and prosperity depending on where it is placed in the home. I placed it on my window so it is exposed to sunlight and moonlight as a sort of money drawing charm. I smoked it over sage smoke. I even smoked myself and the entire house. I have gotten no effect from it. It understands me but I don't trust its answers. I still have it hanging on my window. Any idea how or if indeed it can help me draw money and luck my way? That was purely a rethorical question. I know which mojo products help with money/luck drawing. My question is more like: can a pendulum draw things to someone or is that fold tale? Pendulum can help you decide what measures to take, herb to use, etc that will be most effective in drawing what you need. Hi everyone. I have recently started using my pendulum. It has been right on with questions regarding me. It was very accurate in telling me things that would occur in the future that I did not think would happen. For example I asked would I get a B+ in a class, it said no. I said how about a B-? it said no. Then I said will I just get a solid B, it said yes. Well I didnt believe it, in fact I thought I was going to get a C. Anyway to make a long story short, I indeed got a B (85) i was so surprised. However, last night I asked my boyfriend to ask me questions that I would not know the answer to and the pendulum gave me all the wrong answers. How could this be? Could it be that I am a person that can only use the pendulum when asking questions about myself? You may just not be ready to read on other people yet. Ask your pendulum about the issue, and see if perhaps there is something else needed to help you develop those skills - such as holding a personal link of some kind to those you are trying to read. I bought a pendulum yesterday and cleansed it with some holy water since thats what I had on hand. 2) Those who use one do you use it with a chart? 3) Is there an opening prayer or such one should use before using one? 4) Best ways to cleanse it. 5) Today I took it out and it doesnt seem to want to move. Did I do something wrong yesterday? 6) Recommended books on pendulums? 1) No way is "better" or "best"when it comes to directionality of movement to which you assign the terms "yes" and "no. "It is like dog training or like learning a language -- you pick a phrase or a gesture and work until you are fluent in communicating through that phrase or hand gesture. 2) I have used a chart, but i don't anymore -- the pendulum goes in a little bag or is worn as jewelry -- no need to carry a chart around. 3) I am sure that each person will answer this in his or her own way. I begin by speaking to my pendulum. 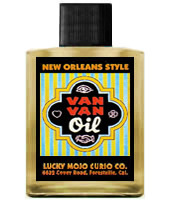 4) I dress my pendulums with Van Van Oil. 5) I doubt you did anything "wrong." You probably just need to re-establish contact with it. I just received my first pendulum. I got it because I wanted to know if my nations sack was still alive and working for me. i placed it on top of my nation sack and asked. it said yes! then i asked a question to what the answer was obviously no, just to check , and it answered no! I'm amazed and wish I had bought one sooner. My question is how I should treat it? do i meditate with it? just ask questions? store it a certain way? and how accurate is it? I wasn't really sure where to post this, so just move it if need be. I have a pendulum which really confuses the heck out of me. I ask it a yes or no question to determine its swing, such as 'Is the sky blue right now?" and it will swing one way. So then to double-check I ask it, 'Is it nighttime right now?" and it will swing the opposite way. Thus, in theory I should know which way is yes and which way is no, BUT I've noticed that when, for example, I held it over my nation sack to determine if it were dead, it swung "no" until i started thinking "but is it right?" And THEN it starts swinging to yes! This happens with virtually every divination I try -- it swings the way I hope it will, then when I start doubting, it swings the opposite way. I've been VERY careful not to move my hand at all, so I have to think I'm psychically influencing the darn thing -- and thus can't get accurate readings. What do you think, and what can I do about it? sakura, always do a forum search before positing, this is one of those questions that has been asked several times, and all of the threads are merged into one thread -- this one. Whoops! I didn't even think to do a search! <embarrassed> Sorry, and thanks! Aaaand those threads were perfect! Thank you! Again my apologies! This happens with virtually every divination I try--it swings the way I hope it will, then when I start doubting, it swings the opposite way. I've been VERY careful not to move my hand at all, so I have to think I'm psychically influencing the darn thing--and thus can't get accurate readings. The pendulum is one of those instruments that is extremely sensitive to the subconscious mind of the reader. I've had several pendulums so far, and they always tell me what I want to hear -- or else what I'm afraid to hear. I've even tried the advice given on the other threads -- no difference. Some of us just can't get a pendulum to tell us the truth. So, yeah, Tarot and Bible for me. However, if you ever get yourself a jack ball, you can use it pendulum-fashion for divination -- if pendulums will talk to you. If not, the traditional way to work a jack ball is to deliberately swing it like a pendulum, to influence events rather than predict them. This is most true. I had a student a little while ago who simply couldn't get the pendulum to give accurate responses. Something to always consider for any type of divinatory work is the Psychic Vision products. These can be used to help augment your abilities and fine-tune your responses. That is great idea ConjureMan Ali! Before using my pendulum I will usually say a prayer such as The Prayer of St Joseph the Visionary. I'll give this a try with the pendulum anointed with Psychic Vision oil and see how that goes. how do you work with pendulums? I'm very curious because this morninq I went to my kitchen to qet a cup to drink and my Weightloss Mojo fell out of my undergarments. I usually sleep with it and have it on me 24.7, my mom saw it, but did not touch it, does the pendulum come with directions? Just got my 1st pendulum from LM & i am very happy with it. alredy established Yes & No. I didnt know i could do maybe. I might just stck with yes no I like straight forward answers. I didnt realize when i ordered it there was a book so now i will order the book for beginners. My question though about spirits. Can i summon the spirits of my grandmother(s) to help me with it & if yes how do i do that? Not sure where to put this one but this seemed a good spot. I have a pendulum for use in hypnosis and was thinking of smoking and dusting it along with dressing it to make it have a stronger impact on who it is being used on. Any ideas of which products to use. Myrrh resin is an option, Confusion Products can be used to move their consious mind out of the way (add salt to dampen its negative aspects). Hi Negi Spingfield. I find it very interesting that you want to fix up a pendulum that is used in hypnosis. Since hypnosis is the processs of guiding another into relaxation and altered states of awarness, Tranquility Oil came to mind. Let us know what you have used and how it has worked for you. Best of luck! I had problems, too. I was looking for something I lost, and the pendulum directed me to a specific shelf in my closet. Well, instead of finding what I wanted, I found a picture of an ancestor that I was looking for weeks ago. I was happy about finding the picture, but disappointed at the same time. I went back to the pendulum, and it was still affirmative with the closet itself. No more hint of a shelf, but still on the closet. I tore it appart and found what I was looking for, but I wondered why it would direct me in this manner. Could I have not been clear enough or could it have just been that it was purposely directing me? This is not the first time something similar happens, so I am also wondering if it is just a function of my inexperience. I have a question about pendulum work and dowsing. I recently started dowsing. And I was immediately successful at it. I have been doing research all over the internet about the proper way to dowse and of course you will find so many different opinions about what is appropriate, how many questions and what type you can ask in a day, and who you can communicate with. Here is my question.... I started using a dowsing chart to communicate with my spirit guides and I asked the guides if they were of the light and believed in the holy ghost etc.. etc.. and everything was fine. Then I asked my guides their name and it turns out that I am communicating with my grandmother. And I know it is her because I asked her questions only she can answer. I have know and been told by many people that she is my protective spirit and it was no surprise that she answered. She often comes to me in dreams and I have been working on my ability, an way to further my communication with her and my other protective spirits who she named and I knew that they were exactly who she named. However I read on a dowsing website that you should never speak directly to your relatives through dowsing....... You should do it through a spirit guide..... I just can't imagine that this is harmful. She is my protective spirit. Is the web site information I read true? Am I causing harm by communicating with my grandmother in this way? Is there really a limit on the daily questions? I know you can only use it for good reasons and that you can't abuse it, but having simple conversations? Telling her I love her? Asking her things about me? I have no interest in knowing about when I am going to die, or about other people’s lives or anything in that manner. But this obviously is a vehicle in which she has been waiting to communicate with me. Please advise. I in no way want to cause harm or bring in spirits of evil. But I believe that is why she and the other protective spirits are with me.....to protect me and my children from those very spirits. I have felt it my whole life. In conjure we communicate with our ancestors directly. Although some may work with a helper or spirit guide, there is no need for an intermediary spirit. After all, an ancestor can be the ideal spirit guide. The pendulum is a great channel for communication.